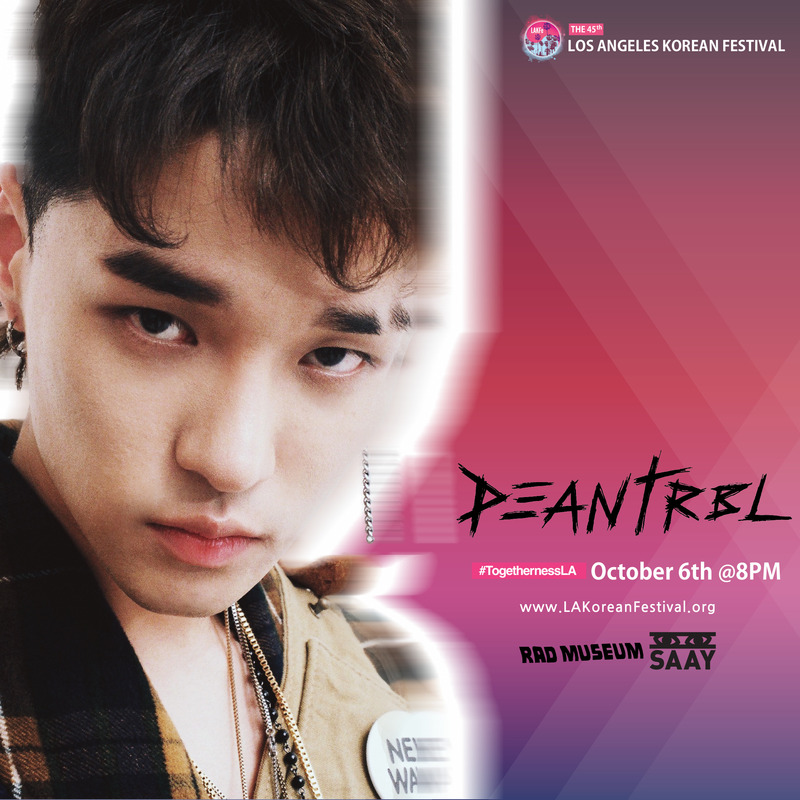 [Giveaway] Win 2 tickets to see DEAN at the Los Angeles Korean Festival! Hey, so here’s a first for the site, we’re doing a giveaway! Asian Junkie has teamed up with the Los Angeles Korean Festival Foundation to gift two (2) tickets to one (1) lucky winner to see DEAN, SAAY, and RAD MUSEUM live at the 2018 Los Angeles Korean Festival on Saturday, October 6th! Follow us on Twitter at @asianjunkiecom. Like and retweet our contest announcement tweet (below). That’s it. You’re entered and eligible! Contest ends on Thursday, September 13, a few weeks before the festival, which should give you plenty of time to work out logistics of going. Because some people need to be told, let’s keep it clear about the giveaway. Asian Junkie and LAKFF is not responsible for travel or lodging to Los Angeles or to the Los Angeles Korean Festival. We will DM (direct message) the winner on Twitter for your name and contact information. E-tickets will be sent to the winner via email, which will give the winner access to the DEAN concert, separate from the rest of festival. The Los Angeles Korean Festival itself is free to the public and open from Thursday, October 4th through Sunday, October 7th. Regardless of whether you win or not, you should definitely go to the Los Angeles Korean Festival anyway. While the tickets to see the performers are not free, the festival itself is, and you can check out the site for everything it has to offer. Speaking of the performances, you can buy tickets to them through the links below. If you’re going, you should definitely use those links since they help support the site as well.